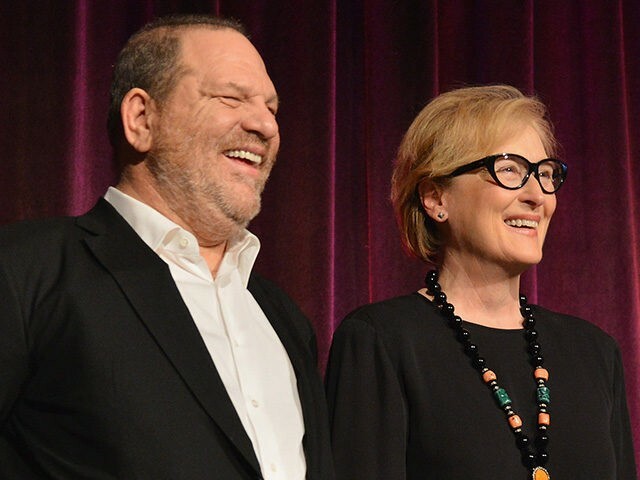 Actress Meryl Streep issued a statement Monday blasting the “disgraceful” behavior of now-unemployed Hollywood super-producer Harvey Weinstein, and claimed “not everybody knew” about the decades of alleged sexual harassment claims that have been re-told about him this week. Streep’s statement came four days after the New York Times published a now-infamous exposé of the movie mogul that found Weinstein had reached financial settlements with at least eight different women due to sexual harassment claims, including the actress Rose McGowan. Actress Ashley Judd, who first worked with Weinstein on the 1997 film Kiss the Girls and told her own story of the producer’s alleged sexual misconduct in a hotel room that year, told the Times that Weinstein’s behavior was well known in Hollywood. “Women have been talking about Harvey amongst ourselves for a long time, and it’s simply beyond time to have the conversation publicly,” she told the paper. Weinstein was also known to dine frequently with a number of young women at a restaurant inside his New York City office building, as a former waitress there recently recounted in the New York Post. “When I was working as a waitress, I watched numerous times as a string of young women — some seemingly no older than 21 — entered the restaurant for long, flirty dinners with him, even though he was married with five children,” Jade Budowski wrote in a column for the paper, adding that Weinstein would take his dinner companions for “office tours,” only to return to the table hours later. Weinstein has since been fired from The Weinstein Company, the production outfit he founded with brother Bob Weinstein in 2005. The company, which will be run in the interim by Bob and COO David Glasser, is reportedly discussing changing its name amid the scandal. While Streep has broken her silence, a number of actresses and filmmakers with whom Weinstein has worked in the past — including Gwyneth Paltrow, Nicole Kidman, Kate Winslet, Judi Dench, and Quentin Tarantino — have so far remained silent about the allegations.